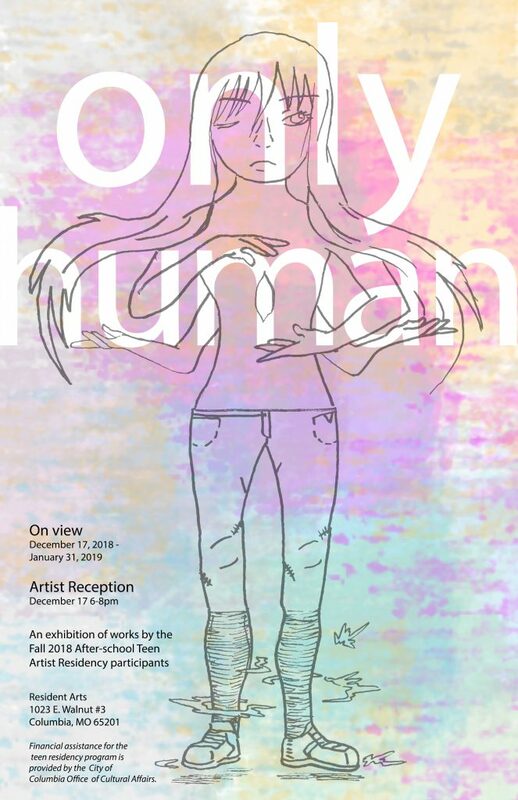 Join us for the culminating exhibition of the Fall 2018 After-school Teen Artist Residency program, Only Human! The After-school Teen Artist Residency program is a twelve week after-school program for high-school aged teens in which participants meet local professional artists, learn about their careers and specialized techniques, and produce work for exhibition to the public. This entry was posted in 2018, 2019, Exhibitions. Bookmark the permalink.